From the moment it was first published, My Place was greeted with delight by adults as well as young readers. At a time when Australian history was regarded by many as an account of two hundred years of white British settlement, My Place firmly positioned the First Australians as the beginning and end of the tale, and also showcased the way in which immigrants from many lands had contributed to our national story. 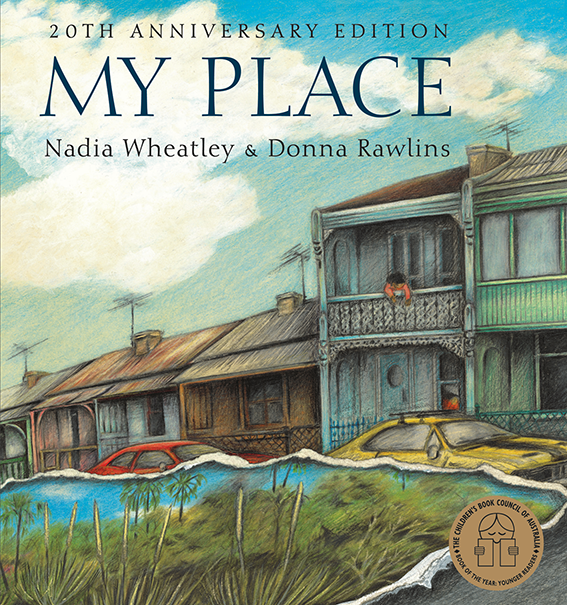 Acclaimed by the Children’s Book Council of Australia judging panel in 1988 as ‘quite simply the most remarkable book entered for the awards this year,’ My Place won both Book of the Year for Younger Readers and also the inaugural Eve Pownall award. It is now widely acknowledged as one of the enduring classics of Australian children’s literure. On its twentieth anniversary, the book was given a new lease of life in a Walker Books edition that includes a new time line, taking the history through the Mabo and Wik judgements and up to the Apology of 2008. Soon afterwards, the book was adapted as a 26-part television miniseries, which went to air to great acclaim. Yet beyond all the public accolades, the most amazing thing about this book is the way that thousands upon thousands of children around the continent have understood that it is about them, and their place. A story almost perfect in style and construction... a masterpiece. The history of My Place is as full of movement and collisions as a sheet of water with handfuls of stones thrown into it.